Identification: Wings blackish with terminal line of metallic blue spots. 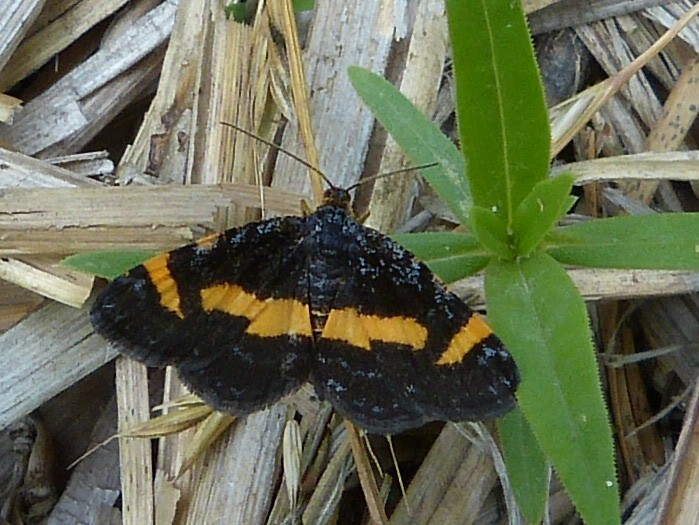 Blotches slant from forewing costa and inner margin; one large blotch fills most of hindwing. Nearly identical to Heliomata cycladata but blotches yellow and narrower. Range: Long Island (New York) to North Carolina, west to western Pennsylvania. Possible stray to Florida.